Lets abolish poverty! Nothing appeals to Progressives like the demonstrably failed (Progressive) policies of the hallowed Past.. 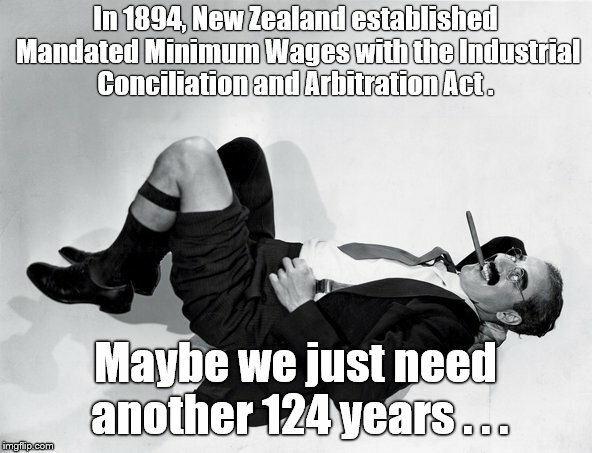 In 1894, New Zealand established Mandated Minimum Wages with the Industrial Conciliation and Arbitration Act . Maybe we just need another 124 years . . .